We provide more than just an academic education. 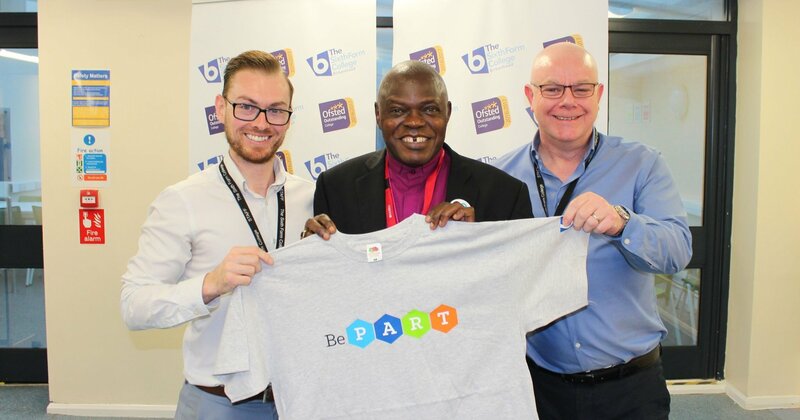 ‘BePART’ is Birkenhead Sixth Form College’s unique life-skills programme which addresses the issue of mental wellbeing in students in order to benefit College life and outside. Launched at the start of the 2016-17 academic year for all 700 first year students, BePART was developed by expert psychologists within the staff and is born out of scientific research and proven techniques and practices which evidence has recognised assist young people’s academic performance and emotional wellbeing. The six-week programme, which was featured on a BBC health documentary in April 2017, includes sessions on challenging negative thoughts, the importance of sleep and diet and using gratitude to build resilience. Liverpool John Moores University’s Faculty of Education has been involved with analysing the results of BePART and found that evidence suggested the programme is a great success in assisting students’ wellbeing. Olympic medallist and former Birkenhead Sixth Form College student, Beth Tweddle, has also endorsed the programme, saying that the combination of the excellent subject teaching at the College and the life-skills programme will ‘help students become well-rounded people’. "An innovative and effective programme which benefits students by promoting their understanding of both their physical health and emotional well-being...resulting in a positive impact on their lives beyong College." While recent Department of Education research suggests that mental wellbeing in young people is a worsening problem, official initiatives to combat the issue are yet to be identified. Birkenhead Sixth Form College’s BePART programme is a direct, structured and pragmatic response to the matter in hand. At the forefront of BePART’s inception was Psychology teacher and expert in the area, Roy Owen. Along with fellow psychologists, Deputy Principal Mike Kilbride and teacher Amanda Hoey, Roy designed the programme drawing on his practical and academic knowledge and experience of psychological techniques.